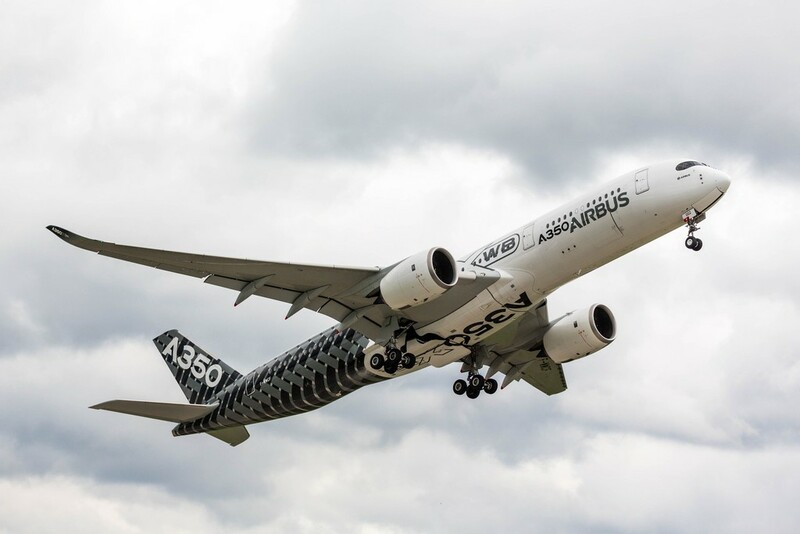 There is no doubt that globally aerospace is a colossal industry sector, however putting an actual figure on its worth proves to be somewhat problematic. According to Richard Aboulafia, VP-Analysis of The Teal Group “Aerospace is one of the world’s most important industries, yet there is no consensus on its size and composition”, while Kevin Michaels, MD of AeroDynamic Advisory asserts that “The best industry data is kept by national industry associations, yet their definition of ‘aerospace’ varies”. Last year, AeroDynamic Advisory and Teal Group addressed this anomaly by employing clearly-defined parameters to create an independent global aerospace size estimate. Their conclusion is that the global aerospace industry was worth a staggering $838 billion in 2017. The independent global size estimate that AeroDynamic Advisory and the Teal Group have created is based on a clear definition: The aerospace industry includes all in-country activities pertaining to the development, production, maintenance and support of aircraft and spacecraft. Included in their definition of Aerospace are aircraft and space manufacturing, including engines, systems, aerostructures and sub-tier suppliers; missile & UAV manufacturing, airborne defense electronics, aircraft simulators, and maintenance, repair and overhaul, including spare parts and materials. Excluded are airline operations, satellite broadcasting services, ground and maritime vehicles, non-aero C4ISR defense electronics, training services and ground support equipment. The joint study also included rankings of countries by the size of their aerospace industry. The five largest are the USA, France, China, the UK, and Germany. Figures published by the Department for Business, Energy & Industrial Strategy and the Department for Transport here in the UK highlight the importance of the aerospace sector to the UK economy. It provides over 120,000 highly skilled jobs, most of these outside London and the south east, and has an annual turnover of £35 billion, the majority of which comes from exports to the rest of the world. Jobs in the sector pay 40% above the national average. 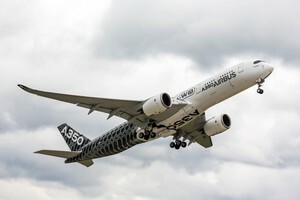 December 2018 saw Business Secretary Greg Clark announce new support for the UK’s aerospace sector in the form of the Future Flight Challenge, which will provide up to £125 million (from the Industrial Strategy Challenge Fund) to aerospace and other manufactures to research and engineer new technologies and infrastructure, which industry will match. This will support the development of electric and autonomous aircraft and transform the future of transport in urban areas as airspace is utilised to ease congestion. Industry will initially focus on smaller aircraft and drones to ensure the suitability of the new technologies before developing them for larger passenger aircraft. Like any advanced sector, much of the industry has successfully embraced growing levels of automation, a trend which seems to be continuing unabated. In one such example, following a collaborative research project with engineers at the AMRC’s (Advanced Manufacturing Research Centre) Integrated Manufacturing Group, entire aircraft wing assemblies could be transported by intelligent, autonomous robots at the Airbus production facility in Broughton, North Wales. The ambitious project began by developing safe, automated means of delivering tooling supplies internally within the Airbus factory, but could be expanded rapidly as the benefits of using small, autonomous robotic vehicles are being realised on the shop floor. 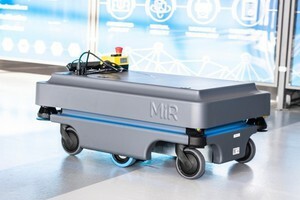 the benefits of using small, autonomous robotic vehicles are being realised on the shop floor. Amer Liaqat, technology manager for Assembly Innovation & Development at Airbus UK, says: “This project has been Airbus’ first trial of autonomous mobile robots (AMRs) on the shop floor. We have made a number of enhancements to the standard off-the-shelf technology to make it safe and suitable for our factory environment and are now setting benchmark for its roll-out to other Airbus sites worldwide." “Doing small scale trials with this AMR has given us a good idea of the challenges involved in adapting this technology and the needs for future development work,” adds Amer. 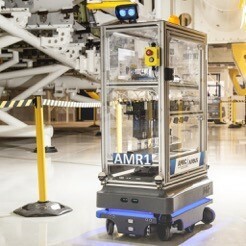 AMRC senior project engineer, Dr Lloyd Tinkler, says: “Supervised trials of the robots have already taken place and estimated that utilising them could save the whole time equivalent of one operator per shift in the current use case at Airbus, freeing time for the operators to work on highly-skilled tasks, ultimately improving shop floor productivity. Amer says: “We can see the potential to go even further and work with the AMRC to develop autonomous mobile robots for precision assembly tasks such as component positioning and certification. Developing it further, we could see this technology being utilised to transport an entire aircraft wing between factories on site at Broughton." When a leading UK aerospace company needed a bespoke automated masking system to mask complex areas of aircraft components and avoid precious metal coverage during the manufacturing process, it turned to Astech Projects for a solution. Intertronics supplied Dymax 717-R SpeedMask resin alongside a preeflow eco-PEN450 dispensing system. 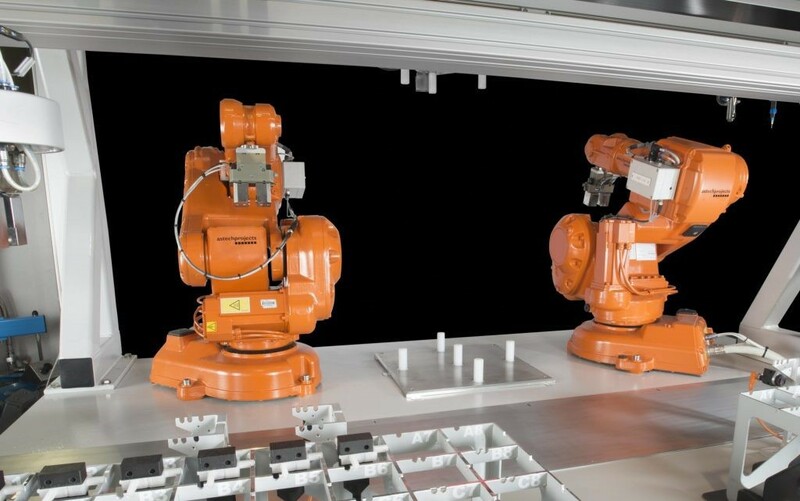 The fully-automated system incorporates a 3-axis Cartesian robot and two 6-axis robots working in synchrony according to one robot program. It also includes a high-definition vision system, masking dispensing system and UV curing station. On a batch-by-batch basis, the system can correctly identify and orientate 14 types of part against the preeflow eco-PEN450, which accurately dispenses the Dymax 717-R SpeedMask product. The part is then taken to a curing chamber, where it is illuminated with high intensity UV. Once the process is complete, the component is returned to its original input location. 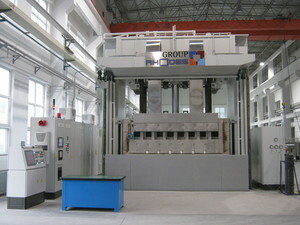 The process repeats itself until the entire batch of components has been processed. 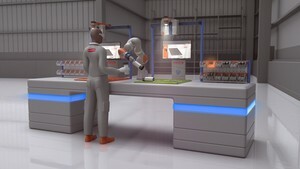 BAE Systems is set to embrace the factory of the future with a cobotic workstation being piloted at the company’s Warton site in Lancashire to work safely and seamlessly alongside manufacturers building high-tech systems for cutting-edge combat aircraft. 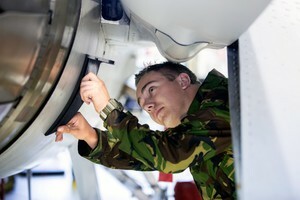 The technologies that have been developed – including operator recognition and a sensor-enabled cobotic arm – are being tested on the Typhoon production line, marking the latest step in BAE Systems’ strategy to continually invest in and enhance its manufacturing capabilities to deliver the aircraft of the future. The technology allows the worker to make strategic decisions while delegating to the cobotic arm repetitive, machine-driven tasks which require consistency. 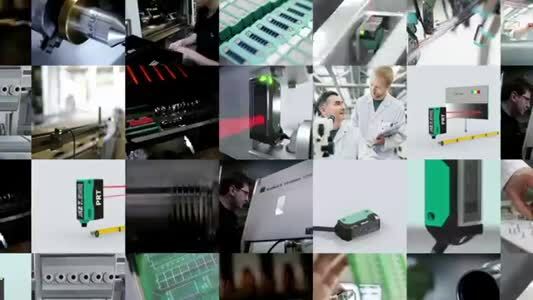 This enables engineers to focus on highly-skilled tasks, adding greater value to the manufacturing process. Dave Holmes, manufacturing director at BAE Systems’ Air business, says: "We’ve only really started to scratch the surface of what automation can do in industry and some really exciting possibilities are emerging as we enter the fourth industrial revolution. "Cobotics is the next, natural step in developing manufacturing technology that will allow for a blending of skilled roles. We envisage that people will make larger, more strategic decisions while delegating the repetitive and intricate aspects of production to a robot." A study led by the University of Southampton has been awarded a programme grant of £6.9m by the Engineering and Physical Sciences Research Council (EPSRC) to address significant barriers in the design and manufacture of future composite aero structures. Ole Thomsen, Professor of structures and materials at the University of Southampton, says: “This funding is essential to enable continued growth of the UK aerospace industry and take economic benefits from the opportunities inherent in the move towards more sustainable aviation, as it fills a knowledge gap, where there is no equivalent capability in the UK or internationally. At Royal Netherlands Air Force’s military base in Woensdrecht staff perform regular maintenance and repairs on a wide range of helicopters, fighter jets and large cargo planes. Performing maintenance on such complex and customised aircraft can be a huge challenge: there are many uncommon parts and systems to work with. The Air Force wanted a more accurate and simpler way to produce custom-made tools that will keep up with the high volumes of equipment, saving time and money. 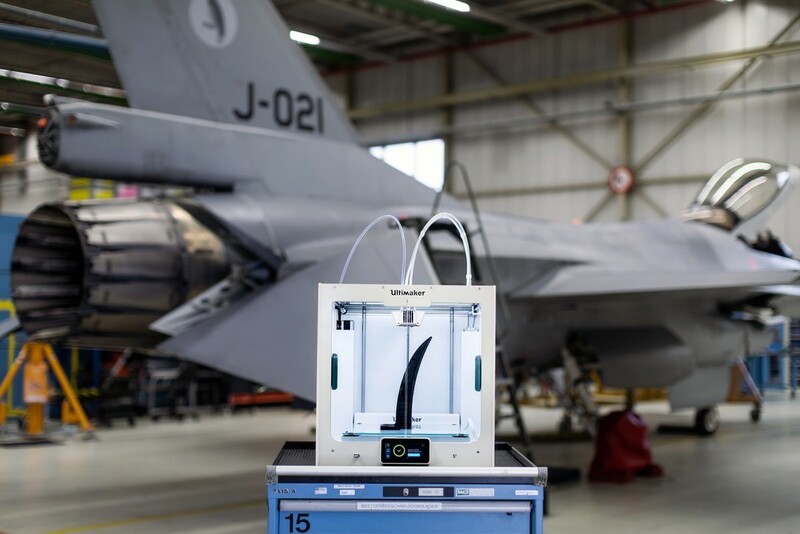 To fully integrate the 3D printing technology in the maintenance operations, Bas Janssen founded the MakAirsJop, a makerspace for defense personnel. At the MakAirsJop recruits can learn about design and 3D printing for aircraft maintenance and prototyping. Janseen began to use Ultimaker printers in his workshops, which focus on gaining and sharing knowledge on manufacturing techniques like laser cutting and 3D printing. Using a workshop of 3D printers means the air base has been able to print numerous parts in the past two years, saving valuable time and money. For example, when jet engines are transported, certain openings need to be covered with a special cap. These parts are expensive to purchase and slow to be delivered. However, using the Ultimaker it only takes about two hours to print the part. 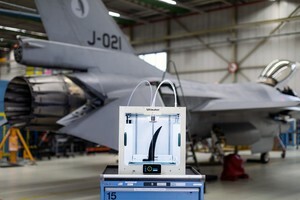 The technology has also enabled the Royal Netherlands Air Force to print bigger parts and start working with new, more advanced material. Rhodes Interform’s innovative solution uses a gas manometer principle in the form of a vertical, open to atmosphere vent pipe, for controlling the gas pressure. This ensures a constant low-pressure gas supply, which self-compensates to changing ambient air pressures and keeps the material in a constant shape once formed in the mould.